Due to its practicality in preparation and to have nutrients that satisfy hunger quickly, hamburger has become a product consumed by all popular classes. However, due to the considerable contents of saturated fat and sodium, consuming too much of this type of food can be harmful to human health. Aiming at the development of a healthier meat product with reduced saturated fat, a chicken burger with green banana biomass flour and passion fruit peel flour was formulated using herbal salt (a blend of coarse sea salt and herbs) as a substitute for sodium chloride. The influence of these substitutions on the physical and physicochemical characteristics of the developed product was evaluated. The flours produced were evaluated according to the analysis of: granulometry, water content, water activity and color. The hamburger formulations were analyzed for quality parameters: texture profile, color, water content, ash, pH, acidity, lipids, chlorides, cooking yield and percentage of shrinkage. The hamburger enriched with green banana biomass flour was characterized by the lower lipid content but presented higher values for firmness and chewability. 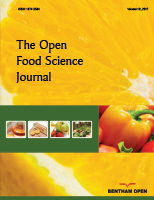 The addition of passion fruit peel flour as a partial fat substitute provided higher yields, while the green banana biomass meal resulted in a smaller shrinkage to the burger after cooking. The green banana biomass flour hamburger presented as a viable alternative for the ingestion of processed meat with reduction of sodium and fat. Keywords: Meat products, Healthy, Fat substitutes, Herbal salt, Sodium chloride, Texture. © 2019 Santos et al.